Mr. Pure Energy Gary Valenciano says the OPM Board is thinking of how to prioritize local talents over foreign singers in the country. 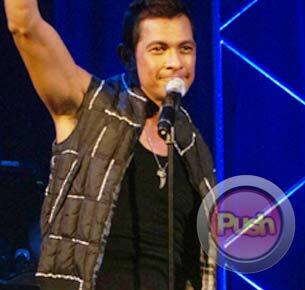 Organisasyon ng Pilipinong Mang-aawit (OPM) Board vice president Gary Valenciano admitted that the recent influx of foreign singers who stage concerts in the country has aggravated the situation of the local music industry. He added that the entire board has already met about this problem. Mr. Pure Energy explained that he understands why audiences would prefer to support foreign singers'rsquo; shows rather than local ones, especially since this may be their only chance to watch that particular singer. "'rsquo;Pag sinabi mong John Mayer ang pupunta sa Maynila, wow! But it would be good if John Mayer would be in Manila, mas matagal bago darating 'lsquo;yung susunod," he suggested. The situation is very different abroad since there are bigger audiences. "Ang laki-laki naman ng United States, kahit na mag-concert tour ka sa States, you will probably not encounter any problem. Not unless meron kang kasabay na Pinoy artist na ganun din ang route." He went on to say that if his fellow Filipino performers are able to do this, foreign singers could also regulate their schedule for concerts in the country. He also took pride in saying Filipinos are equally or even more talented that foreign signers and cited Jed Madela as an example. He shared that Jed earned praise as the front act for Katy Perry'rsquo;s concert in the country. "If you'rsquo;re able to make people watch [artists] like Jed, [you can] make them realize that we have what it takes to compete with foreign acts." As for now, Gary said that the board intends to have more meetings until they finally come up with a solution. "It'rsquo;s just a matter of coming up with an idea to level the playing field. I think it'rsquo;s important to do that." He added that they are also hoping to give a chance to lesser-known but highly talented Filipino performers to shine.